Since 1965, laser cutting has been utilized by numerous industries to cut materials, ranging from diamonds to wood. As the application continues to be used for many industrial purposes, it’s also growing in popularity in schools, small businesses and even among hobbyists. Laser cutting allows for precise measurements and for users to get the exact dimensions they want. But the process can also be hazardous to an individual’s health because of the harmful fumes emitted. It’s made even more dangerous if workspaces don’t have the necessary air filtration systems in place. According to Cut Laser Cut, laser cutting involves the use of a computer-aided design to help with the cutting process for precision. The process has evolved after it was first used to cut diamonds. CO2 lasers are the most popular type because of the versatility it provides. These machines can cut or engrave steel, titanium, stainless steel, wood, plastic and much more. Trotec, another laser cutting operator, explained how CO2 cutting machines incorporate a carbon dioxide gas mixture. Laser cutting machines are classified by the American National Standards Institute, with most being designated as a Class 1 laser. These machines are not overly hazardous because they don’t emit high levels of energy. However, Class 3B or 4 lasers are the opposite, as these machines are more powerful and therefore more harmful. Individuals operating the machinery have to protect their skin and eyes, but they can’t forget about the atmosphere. 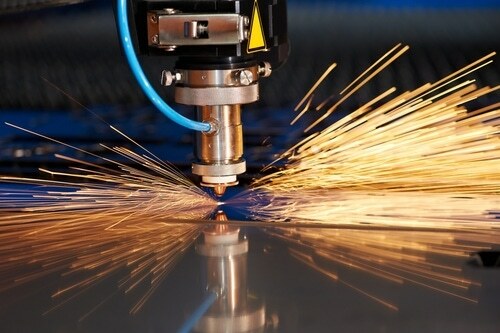 According to Carnegie Mellon University, laser beams are hazardous during the cutting or engraving process because Laser-Generated Air Contaminants are released. Harmful emissions are typically associated with Class 3B or 4 lasers. Essentially, chemical vapors, aerosols or smoke can be emitted when a laser beam is interacting with various materials. The Board of Laser Safety explained how, during the cutting process, high temperatures cause the surrounding air to expand. Once materials are being treated by the laser beam, they’ll emit gases that rapidly expand and release dangerous particles. Because of these toxic fumes, worksites need to ensure personal space and larger areas follow ventilation requirements and are equipped with the appropriate filtration systems. Even school administration and building managers have to ensure students are protected at all times. Buildings where laser cutting takes place will likely need to incorporate a few different filtration and ventilation options in order to catch harmful fumes and air particles. For filtration systems, multiple filters will be needed and changed out whenever suitable. Two types of filters will come in handy: charcoal and HEPA. Charcoal filters, which utilize the chemical absorption method, are useful because they are good for filtering out vapors and chemical gases. However, in order to contain all harmful substances, HEPA filters will also need to be used. By taking advantage of HEPA filters, metal and dust fumes will also be caught. With the two types of filters working in tandem, emissions from all types of materials are likely to be caught. But filters aren’t the only answer. HVAC exhaust systems will also be needed to remove contaminants. Additionally, extractors can also be used in smaller spaces, such as classrooms or small businesses. Independent artists might find extractors even more beneficial because they can still filter out harmful particles without needing to order an extensive HVAC system. Plus, they’re portable and can be easily moved. Businesses of all sizes, schools and even smaller artists specializing in laser cutting have to protect themselves from the harmful particles and fumes emitted from the laser cutting process. HVAC systems and filters are must haves. With the help of Air Impurities Removal Systems, everyone can ensure they have the necessary air filtration systems and more in place.